Connecticut shield with MUTCD fonts. Connecticut U. S. shields available in traditional white with black legend, and various colors, as used by that state. 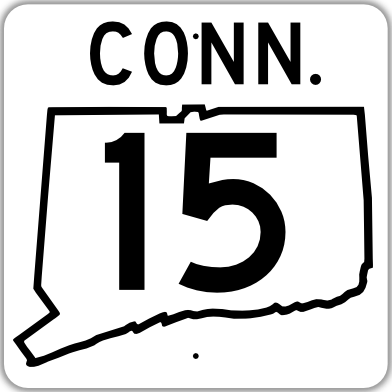 Connecticut state outline on white background, with 1948 MUTCD fonts.